than four hours until showtime! Kevin: BMG has to throw their weight behind either Chesney or Paisley. My hunch is they’ll back Chesney for Entertainer and Paisley for Male Vocalist. Leeann: It’s been Chesney all this time and not much has changed to make me think it won’t be Kenny again this year. Blake: Chesney remained steady on the concert trail and earned three #1 singles in the past year. This would be his fourth win, tying Garth Brooks for the most ever in the Entertainer lineup. Dan: It seems somewhat foolish to bet against a Chesney repeat, but I just have a nagging feeling that the favor will be thrown in Paisley’s direction this year by voters looking to honor someone new. Kevin: Every winner of this award since 1991 has repeated at least once, with the notable exception of Toby Keith (2001), who lost to the sweeping Alan Jackson the following year. It would be a big surprise for this to go to someone other than Brad Paisley. Leeann: Again, I can’t see why any of the other nominees would knock Paisley off of his throne for this award. There are no game changers on the list. Blake: Paisley’s last single to fail at reaching the chart summit was “Alcohol” in the summer of 2005. His unmatched dominance at radio, stellar stats at retail and increased popularity as a live act will win the day. Dan: They’ve all been on a relatively equal plane of success this past year, so there’s no real reason to stray from the incumbent Paisley. Kevin: It’s going to be a tighter race this year, with Miranda Lambert posing a serious threat to Carrie Underwood, but with them being on the same label, it’s going to be tough for Lambert to pull it off. Swift could upset, but her lack of nominations in other categories indicates her support among voters isn’t that deep. Underwood for the win. Leeann: Carrie, no doubt, has the vocal chops that the CMA voters tend to look for in this award. Blake: Only Tammy Wynette, Reba McEntire and Martina McBride have won three consecutive trophies for Female. Though Lambert is also a tremendous talent, bet on Underwood becoming the fourth woman on this illustrious list. Dan: Lambert has definite coup appeal, but Underwood sustains the hope that music can still make money. I don’t think she needs to worry too much. Kevin: Sugarland’s strong presence across the ballot makes it likely that they’ll repeat in this category, especially given the weak year that Brooks & Dunn had. Leeann: Sugarland is really the only duo who would make sense to make a win this year. However, I wouldn’t be extremely surprised if Brooks And Dunn won out of habit. Blake: With Brooks & Dunn experiencing a slow year, Sugarland’s rise will be rewarded with a repeat in this category. Dan: Sugarland had an even bigger year this time, so I don’t see why they shouldn’t repeat. Even “All I Want to Do” can’t keep them from the prize. Kevin: It may be unwise to bet against Rascal Flatts, but with Lady Antebellum being the only credible alternative, there is now an obvious place for the anti-Flatts vote to go. Leeann: I just can’t imagine it going any other way, though I’ll be cheering the loudest if I’m wrong. Blake: Irritating harmonies and saccharine songwriting make Rascal Flatts one of Music Row’s commercial favorites. Dan: A Lady Antebellum upset is not out of the question (and I certainly wouldn’t mind it), but I do think they’re probably a bit too new for a lot of voters to champion them. My guess is that the CMA will begrudgingly give Flatts one more trophy, then put the streak to rest with Lady A or Little Big Town next year when one of those acts has had a bit more time to build momentum. Kevin: I pick Pickler, just because she’s on BMG. Leeann: With the radio success that Atkins has had in the past year, it’s odd that he’s not considered some kind of superstar, but he isn’t. So, it stands to reason that he’ll at least get some new Artist recognition. Blake: Pickler has endured a sophomore slump, and Lady A suffers from the group curse of this category. That leaves the trio of men to decide the trophy. Atkins is acknowledged for selling for almost two millions albums in the past two years while riding a hot streak at radio. Dan: BMG’s conglomerate super powers may well triumph, but I think voters will ultimately go with the highest seller in the category. I can kind of see it going to anyone but Otto, though. Tough call. Kevin: George Strait was the surprise winner last year, despite being up against critically acclaimed projects by Vince Gill and Dierks Bentley. With all four other albums coming from the same label, Strait has a clear path to another victory, unless voters want to reward Underwood for her massive success with this project. Leeann: This is a weak category, so I’m not invested in my prediction at all. However, I suspect Jackson will win as a reward for returning to the commercial viable format, along with writing all of his songs on a 17 track album. Blake: Jackson was the sole writer on his album, a seventeen-track behemoth that re-established his mainstream popularity after detours into country-pop (Like Red on a Rose) and gospel (Precious Memories). In a weak category, he’ll capture a second Album victory. Dan: Strait’s chances are strong, but I think a lot of voters may opt to give Jackson the trophy instead, if only for mixing up the format of his output a bit (and returning to contemporary country). Of course, if voters do want to reward the only great commercial success here, Underwood will triumph. It’s hard to know where the general psyche lies these days. Kevin: “Stay” is easily the biggest hit nominated this year. I think that Lambert’s the only real competition for Sugarland, but I have a hunch that the duo is going to win big like they did at the ACMs earlier this year. Leeann: Lambert’s and Sugarland’s songs are the strongest on this list, but I think Sugarland will be the safer choice of the two. Blake: Voters will be gunshy, choosing Sugarland’s sparse ballad of self-deception over Lambert’s equally deserving entry. Dan: Love for Adkins or Lambert might power one of them to a win here, but I think the avant garde “Stay” will still have been the most interesting thing on the ballot to most voters. Kevin: “Stay” is a perfect example of it being all about the song, with no bells or whistles getting in the way. It’s a career record, and the CMA likes to reward those. Leeann: The CMAs like Paisley and this is one of his few serious songs, which is something the Association seems to like to reward. Blake: An unremarkable lineup, the likely victor is Sugarland’s simple, straightforward warning about the pleasures and the pain of cheating. Dan: The only way I can see “Stay” not winning is if voters decide to go the always-appealing religious route and pick the Strait hit, or if there’s a much bigger amount of love for “You’re Gonna Miss This” than I realize (or fully understand). Kevin: I’m guessing that the cool factor will prevail and Krauss & Plant emerge victorious. Leeann: Both Chesney and Strait are big artists in the business. It’s hard for me to believe that such a high profile collaboration won’t be celebrated. I’m not set on this prediction though. Blake: The best example of an event in this category is “Life.” Its surprising success at radio and sterling harmonies pulls the upset. Dan: Ditto what Kevin said, though I wonder if the seven-part collaboration on “Life in a Northern Town” might pull support from voters looking for a chance to honor one of the three involved acts. Kevin: Paisley’s already tied with Hank Jr. for the most wins in this category. Andy Griffith will help earn him sole ownership of that title. Leeann: Why wouldn’t they vote for Paisley for this one? Also, because it’s the newest of the nominated videos, aside from Jackson’s uninteresting one, it won’t seem like a stale choice like the others might at this point. Blake: The appearance of the television living legend, Griffith. A humorous, yet heartfelt ballad. Stirring religious imagery. Paisley passes with flying colors for the third time in five years and fourth time overall. Dan: It’s an easy win for Paisley. Blake: Dann Huff is omnipresent in Nashville, but Douglas shows unsurpassed skill on the dobro. Again, the Musician category is the best gauge of talent in Music City, and all five men are deserving. On another note, where are the women of this category? Dan: I was going to go with super-entity Dann Huff, too, but I feel sufficiently schooled by Kevin’s factoid. 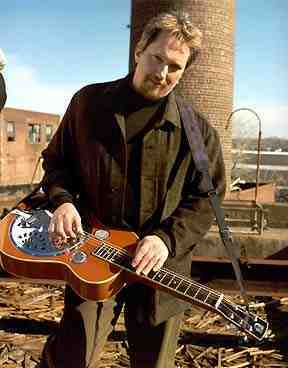 So, Jerry Douglas. Defective? This competitive contributor plans on dominating the prediction pool. Interesting note: A power outage in downtown Nashville has caused quite a stir, but rehearsals at the Sommet Center continued with the help of a backup generator. Imagine if no electricity were available and the show revolved around acoustic instrumentation and intimate vocal performances. And honestly, your alliterative confidence is going to sound very silly tonight when my predictions pwn yours. I meant to say “little” electricity, instead of “no” electricity. Invite Taylor Swift’s fan club to come and light candles and record the show on their iPhones. Easy fix. This live blogging together could be awkward if I defeat you by an embarrassing margin. Based on our picks, the most embarrassing margin you could manage is 2 higher. Ha. We and Leeann are pretty much rising or falling together. Yeah, Dan, I noticed that. Hey, don’t you boys live in like the same little town or something? Yes, when I said “together” above, I meant “in the same living room together.” We are giving the live blog a human element, for better or worse. I have to say I’m a little disappointed in my writers here, indulging in such petty back-and-forth. It really goes against the tone of our site. It’s also a waste of time, since with my predictions, I’m going to completely destroy all of you, leaving mere rubble in my wake. It’s on. Okay, so I missed this one. I’m going with Kevin’s picks down the line. Not that you guys went out on a limb (or could) with any of them! I’m hoping Miranda pulls out the same acoustic performance of “More Like Her” that she did in her recent concert. It was beautiful and incredibly effective. Just her and a guitar. I like the way you think! Methinks we should have a little running tally as the show goes on. Yeah, Lynn, you’re just trying to score some points with the boss! I really, reallly hope Miranda does “More Like Her” too, just in the way you describe it. Okay, I’m officially looking forward to this thing now! I read that Lambert is doing “More Like Her” on the show, which would be the first time she slowed things down on an awards show. I have to admit you had me feeling really guilty for a second there, Kevin. I could always use some brownie points! Who are you guys looking forward to hearing from? Vocal Group: Little Big Town. Album: Good Time, Alan Jackson. Single: “Stay,” Sugarland. (Though I’m tempted to go with “I Saw God Today” on a weird hunch). Song: “I Saw God Today.” (A “solo” female songwriter has won this award exactly twice… Nettles is fighting strong historical precedent, but I’ll gladly be wrong here). you guys are funny! I’m really looking forward to Carrie doing Just A Dream. A Military wife who lost her husband will be introducing her. Also, i can’t wait to see Miranda and Darius.